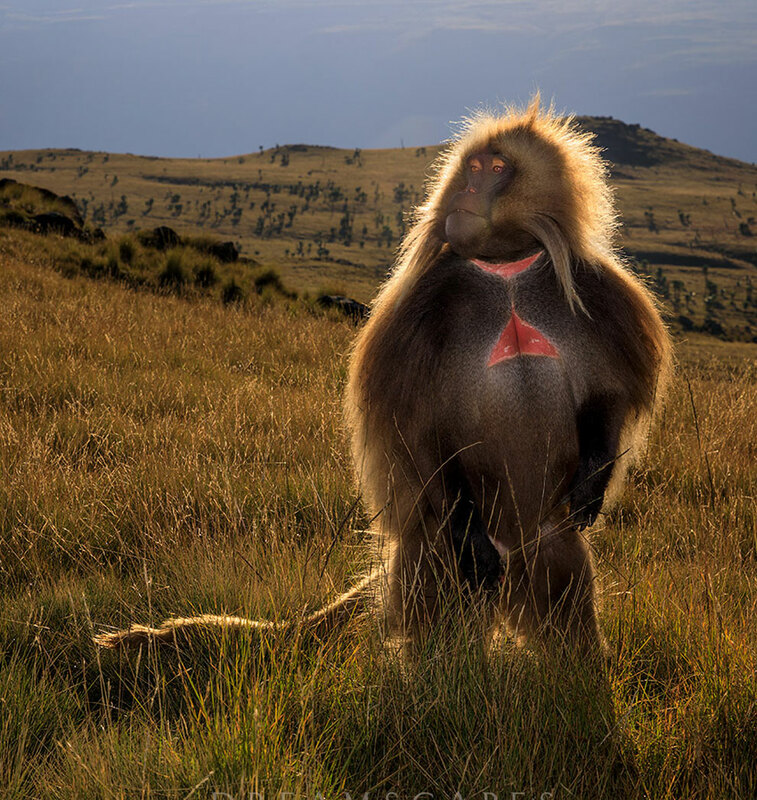 Geladas live only in the high mountains of Ethiopia. 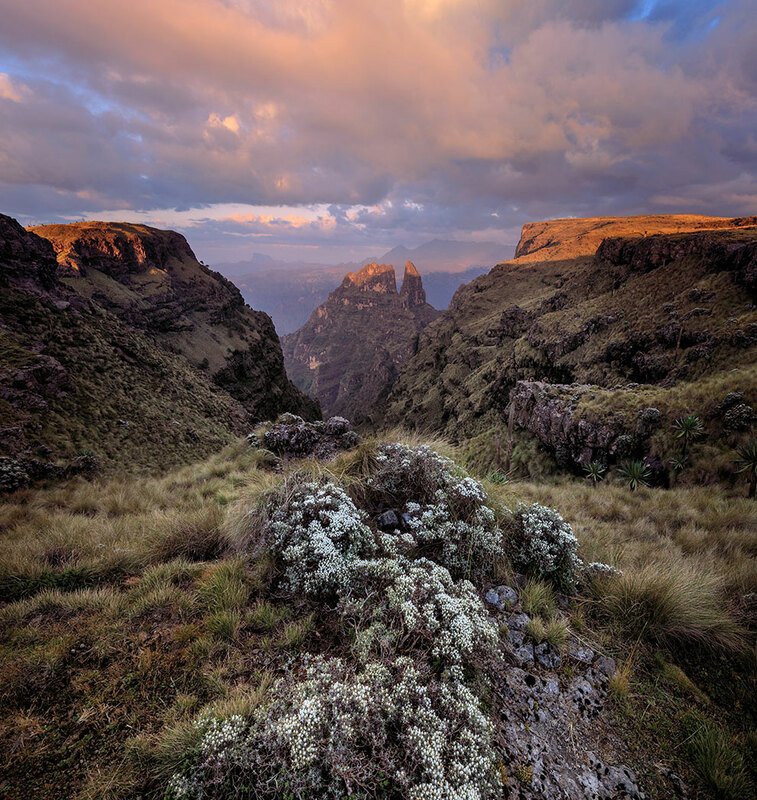 They are skillful rock climbers, perfectly adapted to the steep, rocky cliffs of the Simien Mountains. 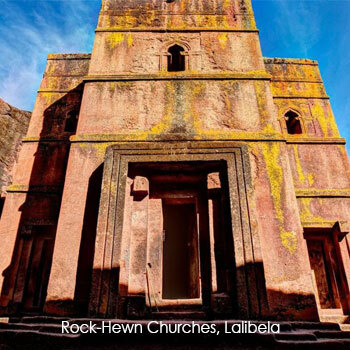 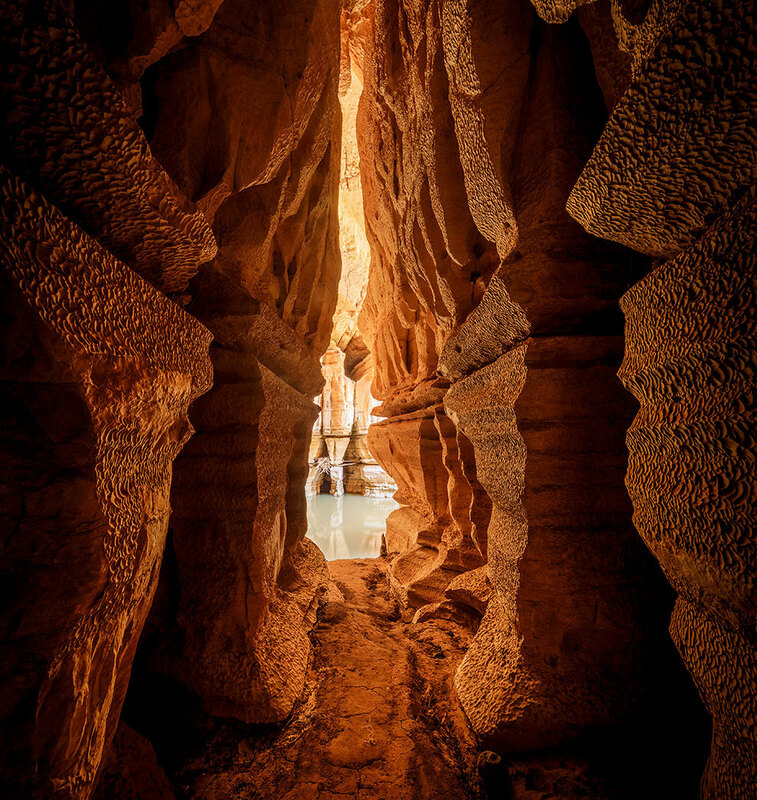 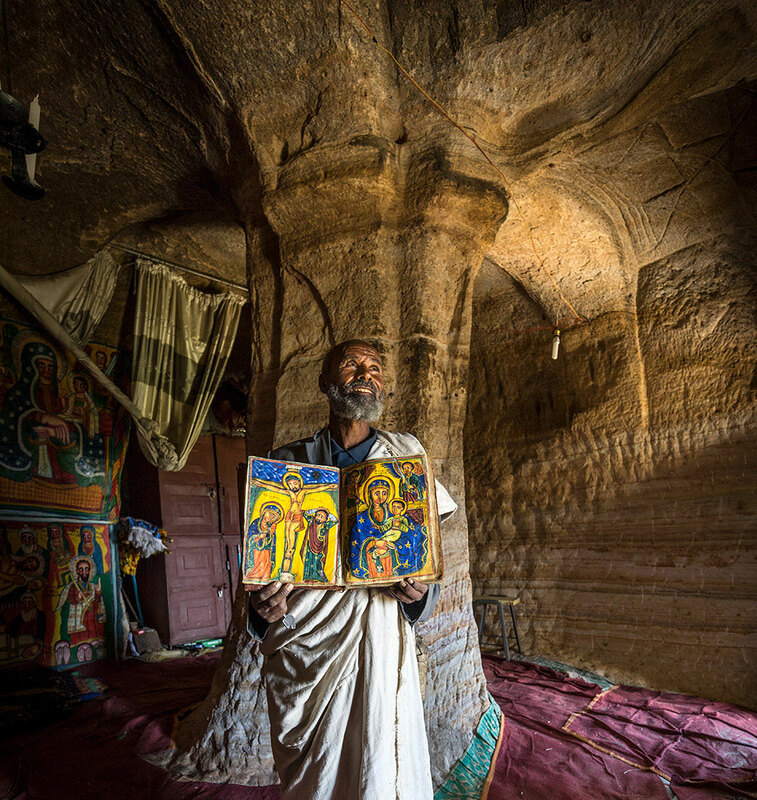 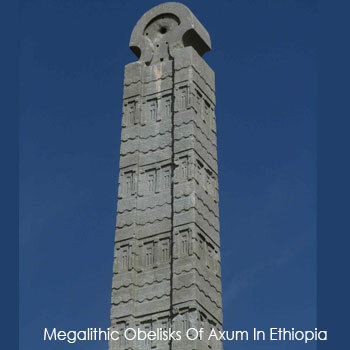 Lalibela is known by the amazing eleven churches hewn from solid rock. 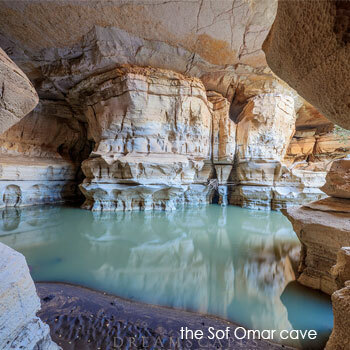 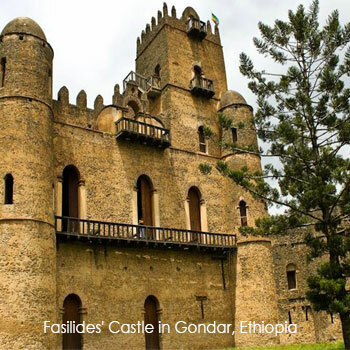 Built in the twelfth century, they are still standing in excellent condition. 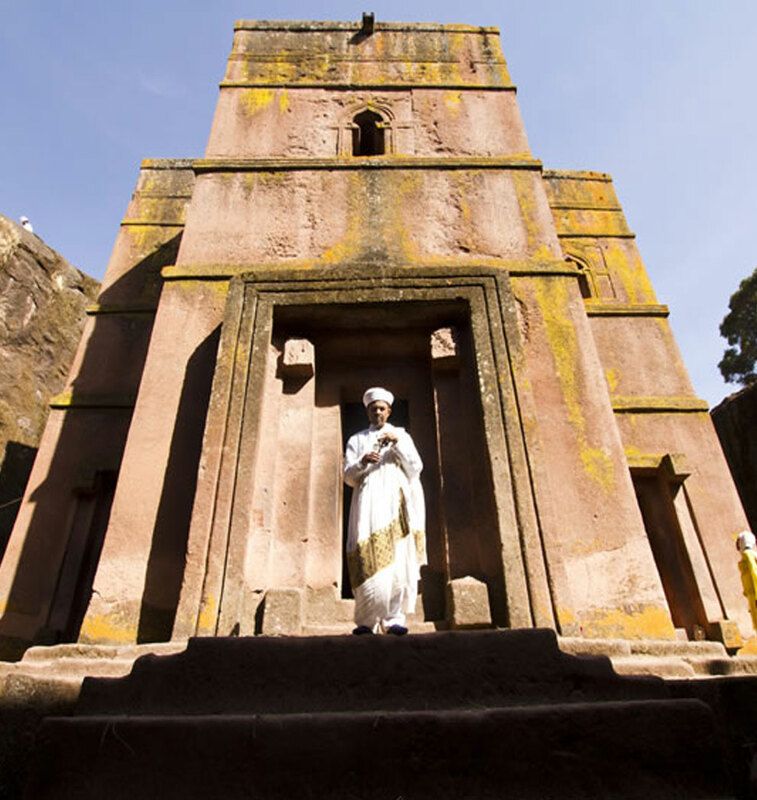 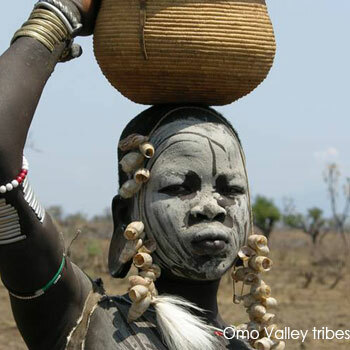 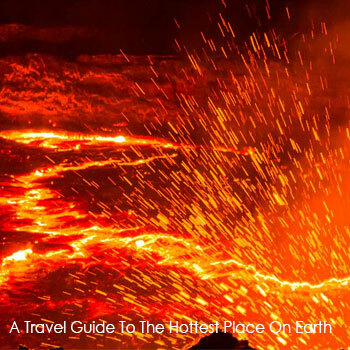 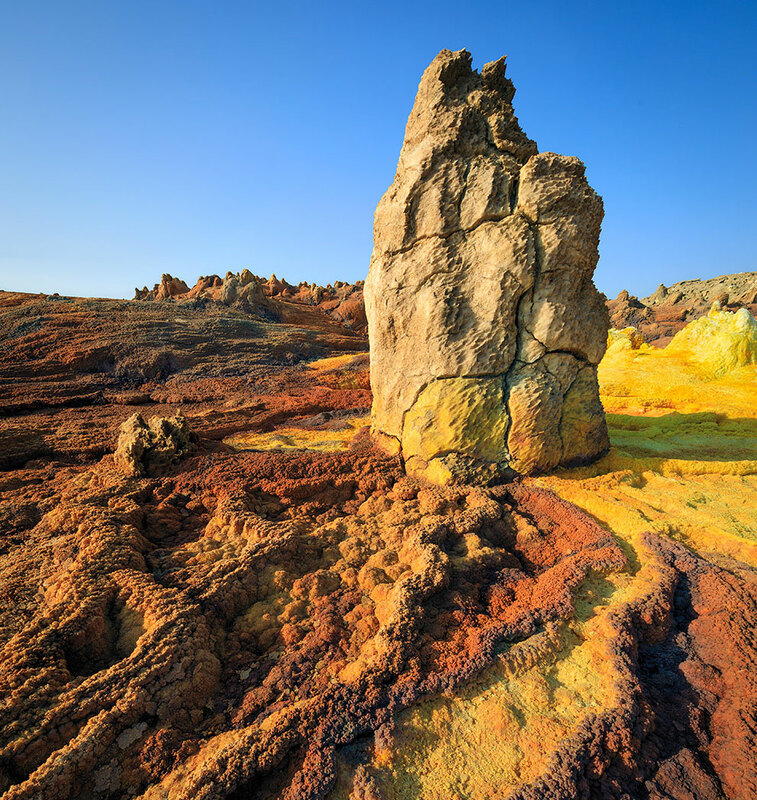 To know Ethiopia is to justly know and love Africa – a melting-pot of races and diverse culture making it a gastronomical paradise and home to over 80 distinct ethnic groups.